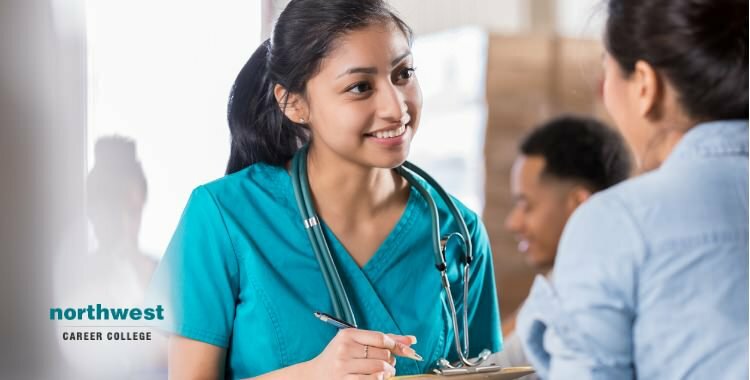 If you are looking into a career in healthcare and want a job that will allow you to do meaningful work and heal your community, then qualifying as a medical assistant could be the right step for you. Medical assistants are the essential backbone of any healthcare practice, providing a vital link between the patients and the doctors. As a medical assistant, you can expect to always be challenged at work, never be bored and make a meaningful contribution to your patient’s wellbeing. So, if you are considering a career in healthcare, here are three good reasons you should train as a medical assistant. Being a medical assistant isn’t just a standard 9-5 job, it’s an opportunity to contribute to people’s health and to support physicians, nurses, and other medical professionals as part of a larger healthcare team. As a medical assistant, you’ll often be the first point of contact for many patients, the first face they see when they come in and the last they see when they leave. Part of your responsibilities as a medical assistant will be to help to keep patients feeling at ease is healthcare situations that they might find stressful. So, if you are the kind of person who likes to help others and wants a job in which they can make a meaningful contribution, then medical assisting is the career for you. Most people hate the idea of a boring day job, no-one wants to be stuck doing the same thing day after day. Thankfully, medical assisting is a career where you will be expected to take on a diverse range of duties and the fast-paced nature of most healthcare practices will keep you on your toes, there’s never a boring moment. As part of your duties, you might be asked to help out on the administrative side, scheduling appointments, greeting patients, updating their health records, and helping to progress billing and insurance claims. Your clinical responsibilities will include recording patient information and medical histories, educating patients on their medications, checking patient’s vital signs, helping to prepare blood samples for basic lab tests, and assisting the doctor during patient examinations. Depending on what state you are in, you might also be called on to give patients injections or medications while being supervised by a physician. According to the BLS, medical assistant employment is expected to increase 23% from 2014 to 2024, much faster than the 7% average across all occupations. Medical assistant employment growth follows the general growth of the healthcare industry and the increasing need for support workers at healthcare facilities. By 2024, the BLS projects that 730,200 medical assistants will be employed in the US, compared to the 591,300 medical assistants counted in 2014. Such an increase in demand can provide workers with increased career stability and the knowledge that, no matter where they are in the country, medical assistants will be needed.